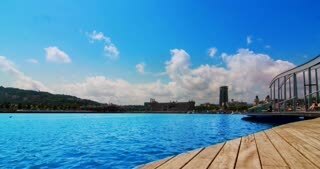 Search Results for "port of barcelona"
Yachts port, Barcelona, Spain. 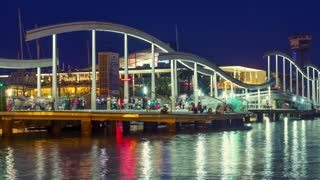 Timelapse of yacht club at evening. 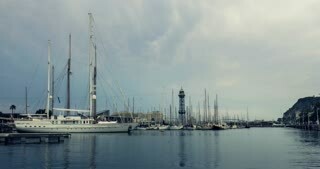 Time lapse of Barcelona marina, Port Vell. Stormy clouds sky in Spain. Numerous sailboats in yacht marina under clouds sky. A ferry arrives to the port of Barcelona. 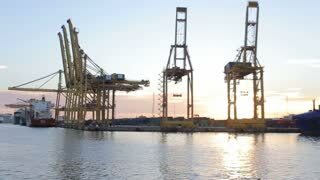 BARCELONA, SPAIN - CIRCA 2019: Embankment and port In Barcelona, time lapse. Barcelona, Spain. BARCELONA, SPAIN - CIRCA 2019: Panorama of Barcelona from Montjuic hill. Funicular from the port to the mountain of Montjuic. Embankment and port In Barcelona, Spain. Crossing Maremagnum Marketplace Bridge in Barcelona. Sailboats and sports boats in the port. Cityscape in Barcelona Port Vell district. Tourists walking in Barcelona in summer. Maremagnum market place landmark. BARCELONA, SPAIN - CIRCA 2019: Panorama of Barcelona from Montjuic hill. Barcelona skyline. Embankment and port In Barcelona, Spain. 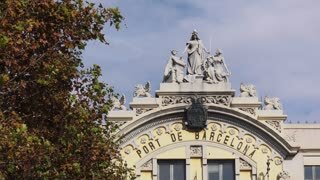 Cruises in the Indstrial Port of Barcelona Time Lapse 4k. Cruise ships of tourists arrive in port very early in the morning. Temporal ellipsis dawning on the harbor. Sunrise over the industrial port area. 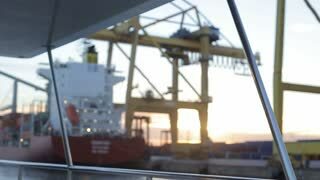 Movement of import and export goods at port. BARCELONA, SPAIN - CIRCA 2019: Cargo Port In Barcelona. Port Container Dock Loading Cargo. Sorting Yard With Containers. Containers And Cranes. Barcelona Mapfre Towers in Port Olimpic Camera Car. Glass skyscrapers buildings in downtown Barcelona. Modern cityscape in Barcelona Port Olimpic district. Driving through the streets of Barcelona city center. Crossing Maremagnum Marketplace Bridge in Barcelona. Sailboats and sports boats in the port with Colon statue monument. Cityscape in Barcelona Port Vell district. Tourists walking in Barcelona in summer. Maremagnum market place landmark. Barcelona, Spain September 2018: The Port of Barcelona. Top view on loading area and parking of cargo trains. Car traffic in daytime, large transport hub in big city. 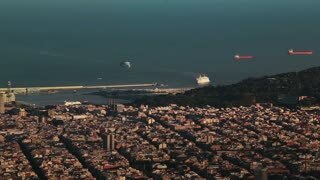 Aerial footage of Barcelona, Spain. moving across the city's port facing Barcelona's skyline.